Mobile World Congress is the world’s largest gathering for the mobile industry, organized by the GSMA and held in the Mobile World Capital, Barcelona, 26 February – 1 March 2018. CES is the world's gathering place for all who thrive on the business of consumer technologies. It has served as the proving ground for innovators and breakthrough technologies for 50 years — the global stage where next-generation innovations are introduced to the marketplace. As the largest hands-on event of its kind, CES features all aspects of the industry. With more than 300 sessions, the CES 2018 conference sessions touch on nearly every topic arising from the show floor, including key trends and emerging technologies. Every two years, more than 200 engineers from the automotive and commercial vehicle industry convene at the Vector Congress in Novi, Michigan. You are encouraged to come to this informative event and learn more about the key topics that are driving the automotive industry today and in the future. The Vector Congress offers several chances to network and view the latest product demonstrations from Vector and some of our partner companies. escar conference started in 2003 and is the world’s leading automotive Cyber Security conference. Last year the Conference in Cologne, Germany reached the highest number of attendees since it started. The attendees and exhibitors enjoyed insightful and cheerful escar days, interesting talks and good networking. Modern cars have become complex digital devices and automotive Cyber Security is one of the most important issues. Therefore, the overall goal and objective of escar is to provide a forum for collaboration among private industry, academia, and government regarding modern in-vehicle Cyber Security threats, vulnerabilities, and risk mitigation/countermeasures. Escar offers an opportunity for information exchange, networking and is a platform to define research needs. International and high-quality speakers give recent insights and encourage discussions. 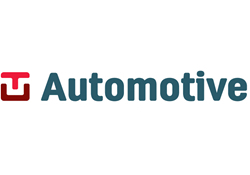 For 15 years the TU-Automotive Europe Conference & Exhibition has been the central meeting place for those at the forefront of connected car innovation and business strategy. Reserve the brochure here. We are currently putting together the programme for 2017. Executives from the leading OEMs, tier1s, telematics services providers, telecoms and government bodies will gather to develop robust proof of concepts, agile business models and effective innovation processes to bring the auto industry up-to-date with the digital revolution.